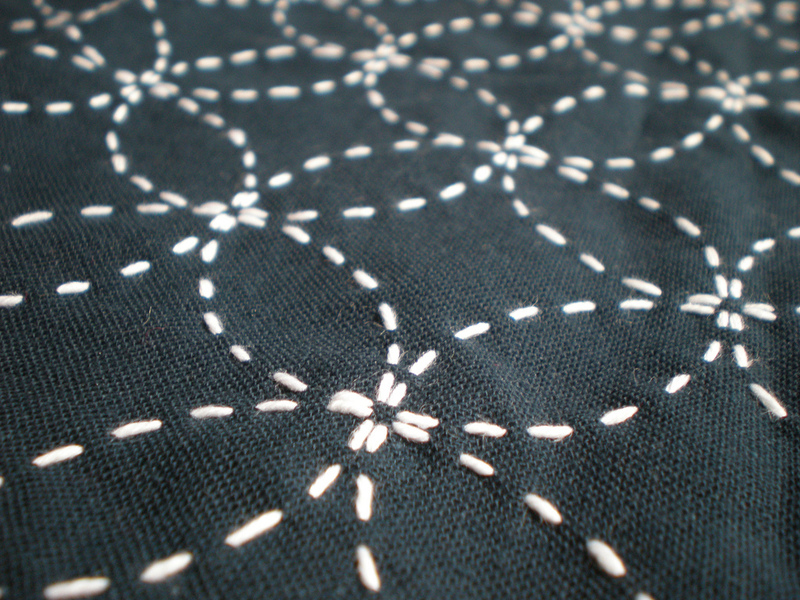 PennsylvAsia: Sashiko Embroidery workshop at Carnegie Library - Squirrel Hill, January 31. Sashiko Embroidery workshop at Carnegie Library - Squirrel Hill, January 31. There are limited spaces available for a Sashiko Embroidery workshop at the Carnegie Library in Squirrel Hill on Wednesday, January 31. Sashiko is an ancient form of Japanese embroidery that utilizes large, simple stitches to create intricate designs. In this class, students will learn how to control their stitches and will practice on two different designs of their choice. Each student will have two small sashiko samplers to finish at home. Beginners welcome! The class is taught by local artist, designer, and instructor Rebekah Joy. The event runs from 6:00 to 7:45 pm. The event is free but registration is required and can be completed on the library's website. The Carnegie Library branch in Squirrel Hill is located at 5801 Forbes Ave. (map).